It is naturally the subject of many legends in the district, and few, we imagine, of the people about would care to find themselves too close to it at the solemn hours of midnight, though one of the stories necessitates such a state of things; for we were told that if any one pours water into any of the natural cup-shaped cavities on the top stone at midnight, it will always be found in the morning to be gone, drank by a thirst-tormented fiend. Devil’s Den is a short drive or long hike from Avebury, and is at least nominally related to the Avebury circle complex. 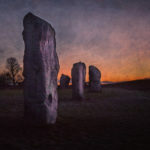 So it’s an excellent short trip when you’re in Avebury and have time. The path, which is actually a barely functioning field road that leads north from the A4 across from Clatford Farm looked relatively simple. At least it was flat. It was muddy and you needed to pay attention where you put your foot. Unless you had wellies, in which case you trudge on. I’m a stranger in a foreign land, and even the shrubbery is fascinating and different to me. Pheasants fly out of the bushes and I’ve not seen those since I was a kid. I’m looking across at vistas I’ve never seen, colored by a light all its own. The clouds race across the sky compared the vastness of the American midwest. 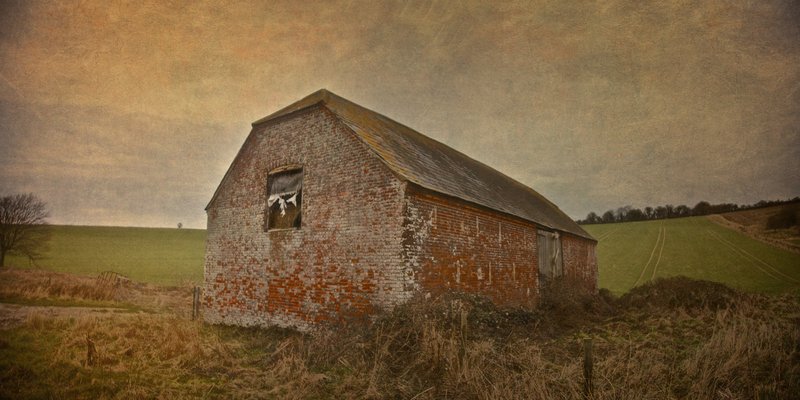 A barn, a familiar sight to anyone from a rural area takes on a whole new fascination … different building materials, different shape. It’s impossible for me to even guess the age. It’s maybe a fifteen minute walk back to Devil’s Den, and a far less dramatic approach than those who park at the car park at SU159699, and take the longer route along the ridge. From there you look down on the valley with Devil’s Den tucked inside the arms of the hillside. If you’re confused by names like Clatford Farm, the A4 or SU159699 don’t sweat it. 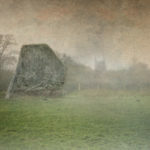 Unless you visit Avebury and are looking for Devil’s Den. Like so many of the ancient monuments of Britain, the locations aren’t posted. 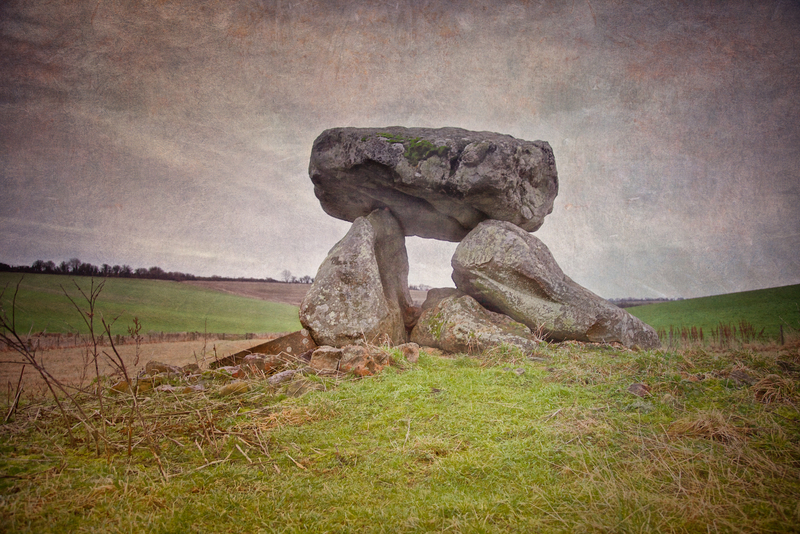 Devils Den is a dolmen, cromlech, a portal tomb. Originally it was a long barrow, a mound covered with dirt and turf which stretched further back. This one was about 230 feet long, which makes it fairly substantial. There were also at least three other sarsen stones incorporated into the mound, which were still there in the early eighteenth century, as William Stukely investigated here and left drawings of how it looked. This whole area is more less the Grey Wethers, though the official boundary is a short distance away. 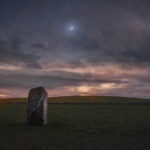 The Grey Wethers is the name given to the fields where the sarsen stones came from which went into the construction of the Avebury monument. It was said at one time you could walk over two miles going from stone to stone and never touch the ground. 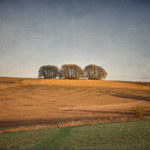 Avebury, Stonehenge and other circles were built with stones brought from here. Later on they were used extensively for building. I believe the last of them in this valley were taken away for repairs to Windsor Castle around 1938 or 39. 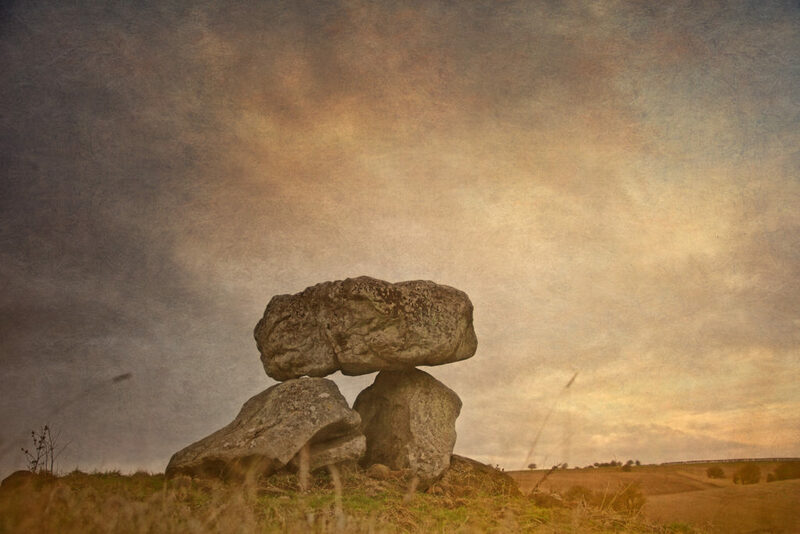 Devil’s Den, or the dolmen itself consists of two standing stones supporting a capstone, with fallen stones beneath. The capstone is about six feet above the ground, and it’s estimated to weigh about 17 tons. Which begs the question of how did they transport and raise these stones with neolithic technology. Which is short for ingenuity and brute force mainly. The answer is nobody really knows. There are various traditions connected with Devil’s Den. I was told some years since, by an old man hoeing turnips near, that if anybody mounted to the top of it, he might shake it in one particular part. I do not know whether this is the case or not, though it is not unusual where the capstone is upheld by only three supporters. But another labourer whom I once interrogated informed me that nobody could ever pull off the capstone; that many had tried to do so without success; and that on one occasion twelve white oxen were provided with new harness, and set to pull it off, but the harness all fell to pieces immediately! As my informant evidently thought very seriously of this, and considered it the work of enchantment, I found it was not a matter for trifling to his honest but superstitious mind; and he remained perfectly unconvinced by all the arguments with which I tried to shake his credulity. 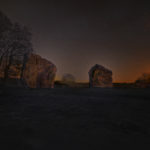 But unlike the mysteries of Stonehenge, Avebury or the other circles, we know essentially what Devil’s Den was. A tomb. And where there are tombs there are ghosts, yes? Well, at least folklore. Particularly with a name like Devil’s Den, there are bound to be interesting tales. According to F.E. Hulme, writing in 1881, as twelve o’clock arrives each night Satan arrives with eight white oxen, and vainly endeavors to pull the structure down, while a white rabbit with fiery eyes sits on the top stone, and aids matters by his advice and general encouragement of the proceedings. In other legends it’s the locals who are trying to pull it down, and each time the harness breaks. There’s also a black dog known to haunt the area, whose mournful howls can be heard echoing across the valley. It’s thought that the dog lives beneath the sarsen stones, a protector of whomever was buried there. This is a common story at burial mounds, and it’s thought to date back to the celts. If a little kid, a child if you will, walks around it, and they are more or less a good kid, nothing happens. However, if they are for example, a little boy, who we all know are made of snails and puppy dog tails, on the seventh revolution a toad comes out of the stone and spits fire at them. Devil’s Den is far enough the highway that the sounds of traffic fade away, if not disappear altogether. Human nature seldom changes, and this place has been isolated for millennia. Isolated but not forgotten. I come from a rural area, and rural landmarks are different from their urban counterparts. In cities, people gather at landmarks in droves. In the country they come to them in the silence of the night. They come alone, they come in small groups, or they bring their lover. 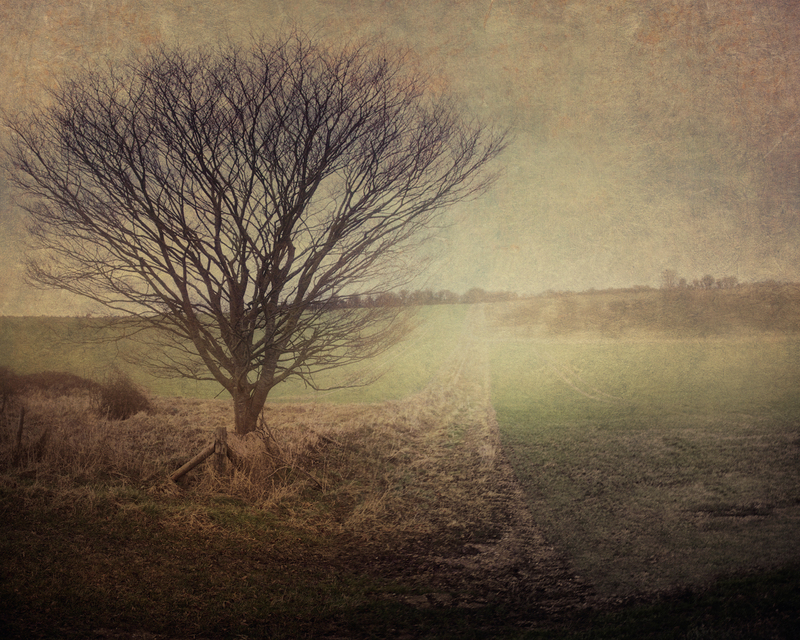 In the country, the landmarks are a place of refuge from the rest of the world, a place to come and explore, the landscape, the past or just each other. They come to think. They come to dream. They come to places like Devil’s Den to escape the reality of the present. 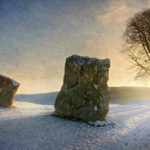 If it's January it must be time to visit Avebury ... so why am I still here in the midwest?